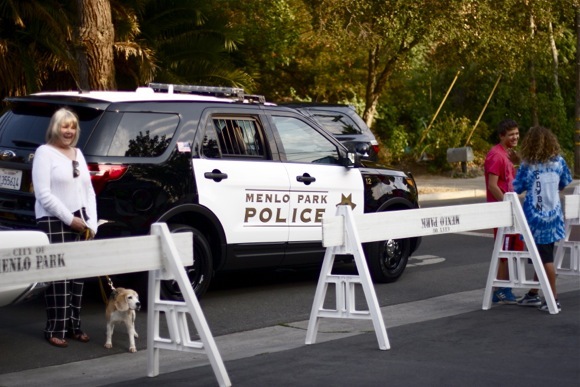 National Night Out (NNO) last Tuesday drew quite the crowd of Menlo Park residents to Menalto Corners where locals enjoyed food and entertainment. tinsel attachments), and Studio Cakes handed out free cupcakes, all anchored around Kathleen Daly’s always welcoming Cafe Zoë. Food was also provided by nearby Mardini’s Deli on Willow Road. 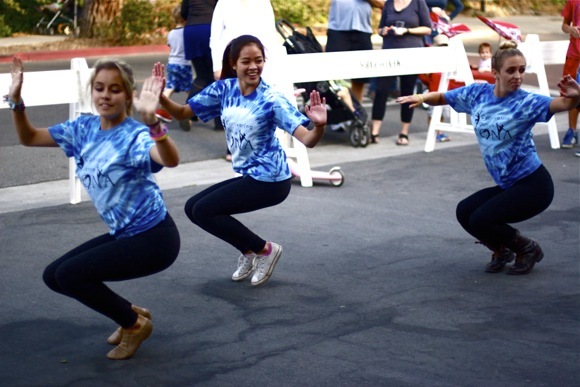 NNO began in 1984, according to the National Association of Town Watch website, and over 35 million people from 16,124 communities across the nation participated in 2013. In addition to hosting a festival, the event served to promote crime prevention awareness and introduce people to their local response teams and police. Taffee encourages anybody who is interested in working to promote public safety to attend the next emergency responder class at Menlo Park Fire Station 77 at 5:00 pm on September 17.